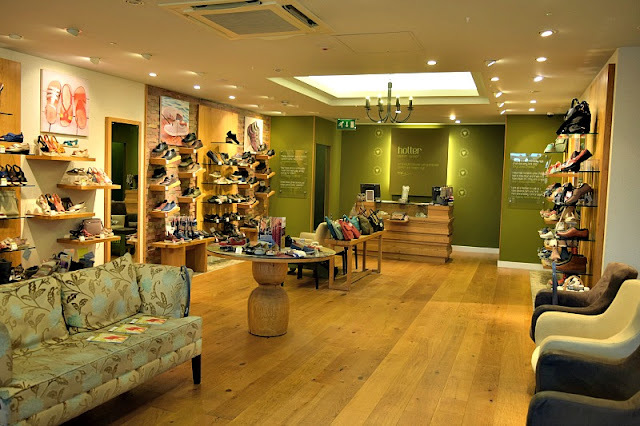 Last week I attended an event at Hotter Shoes in Solihull to see the new Spring/Summer range. 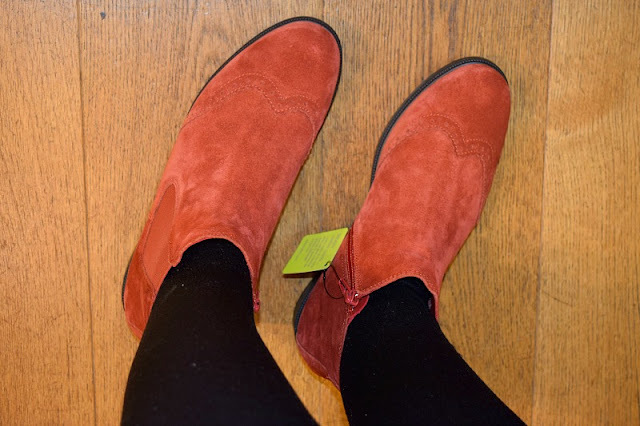 I love Hotter Shoes since receiving my first pair at an event last year (Hotter Shoes Roxanne Wedges review) and before attending, I decided to take a look at the website to give myself an idea of what I would like. Before going, I had decided that I definitely needed a pair of everyday sandals as it is one thing my wardrobe is lacking. 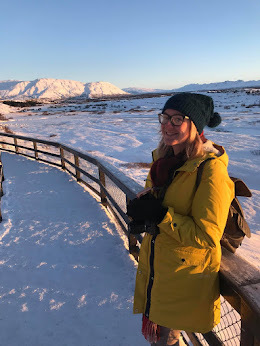 When I arrived I found myself with prosecco and orange juice in hand, eating tasty food, chatting away and had long forgotten my plan for sensible shoes. After a quick talk and demonstration on the ranges, I got to have a browse for myself and try on whatever I wanted. 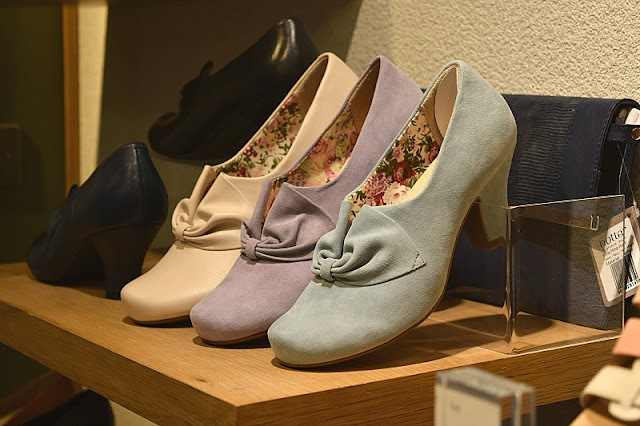 I had seen the 'Donna' range of shoes on the website beforehand and fell in love with their vintage style. I tried them on simply to prove that they would look good and then didn't want to take them off. They are so comfortable!!. They come in a range of colours but I found myself drawn to the Dark Aqua colour as I have so many outfits they would look lovely with. I also love the Lavender pair but thought they may be slightly more difficult to pair with a suitable outfit. 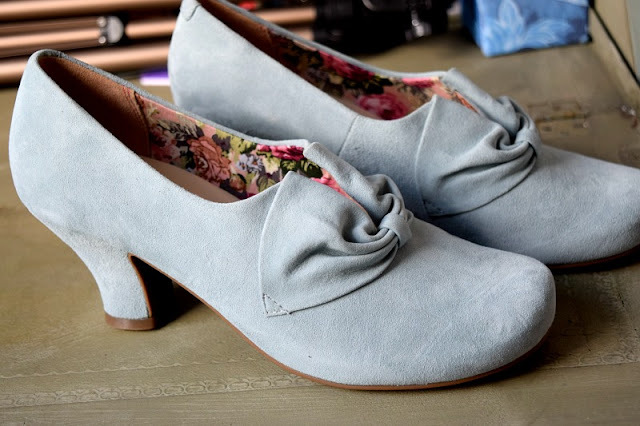 Both the Dark Aqua and Lavender are Suede on the outside which really helps the vintage feel. I also really liked the Tourist sandals in 'Mango'. I tried on a few other sandals which didn't really fit the shape of my foot as well as the Tourist ones did. I love the summery colours available too, they also had 'Aquamarine' and 'Crimson'. A good comfortable pair of sandals is a must-have in the summer months and they really fit like a glove. If it wasn't for the fact the Donna Shoes felt so magical on my feet I would have definitely have gone for these. Another pair that I loved were these County Boots in 'Spice' if the event had have been a few months earlier these would have been my number one choice. I love boots in Winter and orange is my favourite colour! They are a lovely burnt orange kind of shade and the picture doesn't do them justice really. I don't tend to wear my boots much in the Summer so knew I couldn't choose these over the other two pairs as I wanted something I would get plenty of wear out of. I must say I have no regrets about my final choice. The Donna shoes are beautiful, comfortable and so me! I know I will find as many excuses to wear them as possible. Starting with date night this Saturday! Thanks for a lovely night and ANOTHER new favourite pair of shoes Hotter! You can shop the range yourself at www.hotter.com or find your nearest store here.